Alun was born in 1967, grew up in Porth, Rhondda, South Wales, completing his schooling at Porth County Comprehensive School. He left Wales in 1986 to study for a Law Degree at Essex University and on obtaining his LLB Law degree he moved north to complete his professional qualifications at the College of Law, York. 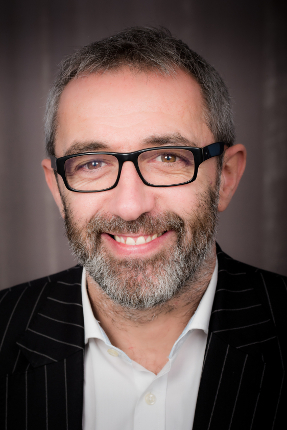 Alun moved to London in 1991 to train as a solicitor and became fully qualified in 1994. Following a brief spell as a Criminal Defence Advocate, in 1996 Alun turned his attention to Family Law and soon found that he was driven by a passion to assist couples achieve the best outcomes following the end of their relationships. Alun has specialised exclusively in Family Law practice since 1996. Alun returned to his native Wales in 2004, though retaining strong professional links with London. In 2005 "Alun Jones Family Law" was established, which has developed into a successful niche Family Law practice offering specialist representation, advice and support on all issues pertaining to the separated family, including children and complex financial issues. Alun Jones Family Law prides itself on being able to offer a range of positive dispute resolution options for separating couples, including Family Mediation and Collaborative Law. Alun trained as a Collaborative Lawyer in 2009 and has a growing Collaborative caseload. Until 2015 Alun was the treasurer of the Collaborative Law in Wales POD. In 2012, Alun completed intensive training with Resolution to become a Family Lawyer Mediator. Alun Jones Family Law now has a growing mediation caseload. Alun lives in the Vale of Glamorgan with his family. He is a Husband, Son and Father of 5 children. He is an experienced meditation practitioner. Alun enjoys spending spare time with his family, skiing, Rugby and football. Alun is an avid Welsh rugby fan as well as being a life long Cardiff City FC fan. Alun has a warm and empathic approach and is able to put clients at ease. He has both a personal and professional commitment to mediation that shows in the way he approached working with clients in the role plays and has made very useful and insightful comments and reflections during the course. Alun has shown developing skills in normalising and has provided information to clients appropriately and in language, which is clear and sensitive to their situation. Alun has also demonstrated a good grasp of acknowledgement, of developing options with clients and has demonstrated an ability to keep focus on the needs of children. He has used the flipchart well. His warmth, sensitivity and calmness of approach are a great aid to his growing competence as a mediator.